Promoting your business can be a difficult task, especially if you run a small business. This is why having a significant online presence can help, as it is not only cost-effective but helps your business reach out to a bigger target audience. A great website is an essential part of your small business and therefore, it is crucial to give it the attention it needs. As a small business, it is vital to have a great web presence in order to stand out in the community. A great website with up-to-date pages, excellent graphic design and easy to use interface can help deliver excellent results as it leaves a positive impression of your small business on the visitors. We can put up your website that is effective enough to encourage visitors to browse your website’s web pages beyond the first few seconds. We build a WordPress based website which ensures a robust and reliable performance. As a small business, it is very important to create your own unique presence on the web platform. To help you do that effectively, we offer over twenty themes to pick from. Right from logo to a font color of your choice, everything is incorporated according to your taste to create your brand. Doing it yourself? We can still assist you! We understand you may not want to go for a web design company to put up your website. However, we can still help you. Right from choosing the right theme to installing a WordPress theme, everything is not as easy as it looks. To make it simple and easy for you, we have a collection of resource pages that you may refer to, and build a great website for your small business. An important aspect often overlooked while creating a website is – choosing a web hosting platform. It is paramount that you pick the right platform for hosting your website because a poor one can effectively ruin your website and all the hard work associated with it. On the other hand, a great web hosting platform can ensure a robust performance, helping your site and your business do well. Which web hosting should I go for? There are thousands of web hosting companies offering services on the internet, but not all are great. Moreover, if you have little to no experience in the field of web design, you are most likely to select a wrong web hosting company. Therefore, it becomes very crucial to do some research before finalizing the web hosting company for hosting your website. To make your job easier, we have come up with two excellent and reliable web hosting companies that you can totally rely on. With an uptime of 99.99%, InMotion Hosting has made a name for itself in the community. If you are looking for a reliable and robust performance, InMotion Hosting is the platform you should go for. Another great feature of InMotion Hosting is that its platform can be scaled to match your website’s requirements. WP Engine, as the name suggests, was designed specifically for WordPress based websites. The platform offers a reliable, secure and speedy performance and is highly recommended for WordPress based websites. A unique feature of this company is that you can blog using the WP Engine’s platform without having to go through complicated programming jargon. 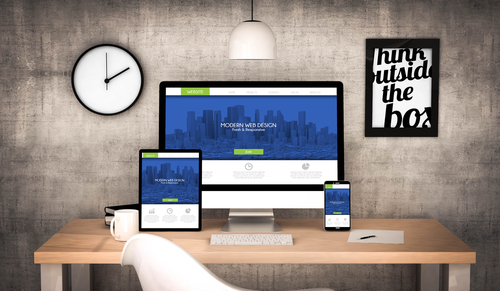 If you are looking forward to putting up a website for your business, we can help design and maintain an effective website that meets all the requirements of your small business and leaves a great impression on users. Get the attention your business really deserves! SiteGround, a web hosting platform for hosting dynamic websites that run smoothly without any unexpected failures, also promises to give you an eager and efficient customer support team, a quick setup that is easy to understand, and hardly takes three clicks to complete and integrations with WordPress and Joomla for extensive utility. We are a web design studio that loves working with small businesses. We take pride in our work and would love to work with you! We also provide great resources on WordPress and showcase the best WordPress themes for businesses. Sign up to receive email updates and to hear what's new with us.